In addition to our work with schools, we also lead wildlife walks and heritage walks throughout the local area’s parks, cemeteries and green spaces, the Grand Union Canal towpath and the Thames Path for adults and families. Our Urbanwise Walks are advertised regularly on our website. We often pop in to visit places of interest along the way and we delight in discovering hidden corners and uncovering fascinating stories that places can tell us. 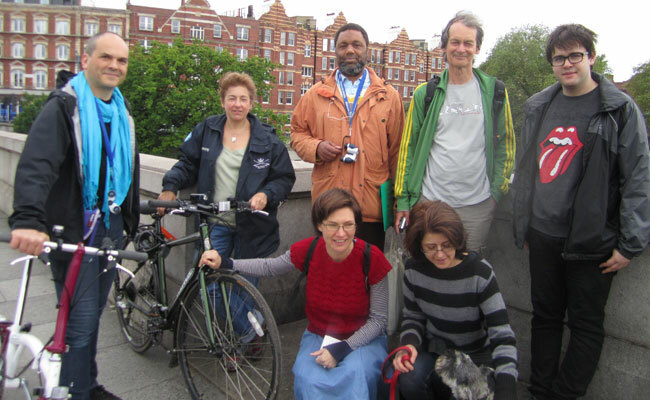 Our walks are very sociable and informal and we encourage everyone to share their own stories along the way. We often include elements of mindfulness and Street Wisdom within our walks to help us all to take a fresh view of life.